the furniture section, it can be a bit overwhelming. At first glance you might not see anything that catches you eye. However, if you keep the following in mind, you might just come out with a treasure. 1~ Look for overall quality. You do not want something that is warped, has veneer peeling off, or broken drawers. There is too much good furniture out there to waste your time on fixing something that is broken, unless you like doing that sort of thing. 2~Ignore the color or finish. Everything can be painted. If something is neon green, do not dismiss it. Try and picture it a creamy white, or whatever color fits in with your color scheme. There are many paint products out there now that do not require a lot of prep. 3~Make sure it is the right size. I keep measurements written down of the things I need or the spaces they will be going in. There's nothing worse than hauling a heavy piece of furniture home only to find out it won't fit through the door. 4~Look for things in pairs. I have found it really hard to find 2 matching anything. If you find matching pieces and you love them, scoop them up before someone else does. Because while you are wandering around the store contemplating buying them, someone else may swoop in and scoop them up. Most thrift stores offer specials where furniture will be half off, or discounted. There is also senior citizen days as well as other promotions that thrift shops offer. You can also get coupons for donations. Even though the stuff is cheap to begin with, why not save more? If you do go on a sale day, plan to be there at least 15 minutes before the doors open. I've also been known to go the night before a sale day and if I find something I love, go back the next morning right at opening and head straight over to it. There's plenty of thrift stores. If you don't have luck at the first one, head to the next. You have to have patience, but great pieces will surface eventually! Look for furniture with great lines. If something has great "bones" you are good to go. 9~Only buy it if you love it. If you are kinda wishy washy about a piece, maybe it's not meant for you. Or, maybe it needs more work than you are willing to put into it. Pass it by, something else will come along. try and visualize it as something else. I added hooks to hang jewelry knowing it would be going in my bathroom. The shelf above was a really tacky dark brown color and it was dirty, very dirty. But it was $6.99 and it had great bones. I knew with a little paint and some new hooks it would make a lovely shelf to hold toiletries on. for smallish dressers that I could use for night tables. I happen to walk into a thrift store one day right at opening and saw 2 of these that had just been put out. They were $59.99 each if I remember correctly. I literally stood by them until a sales clerk walked by me so I could have him mark them sold. I did not want these getting away! Here is what they looked like before I painted them and added new knobs. They really weren't that bad, but the colors didn't go with the rest of the room, so they got a mini makeover. Hopefully that helps you when you are out in search of the perfect piece of used furniture! Just remember, there is nothing a little elbow grease can't fix. 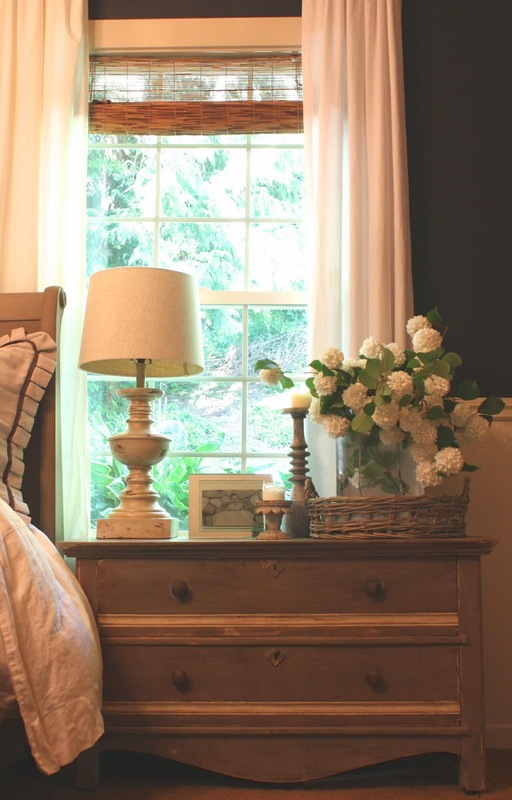 These are GREAT tips and I love your night stands! Problem I have is that most of my "thrift" stores are started pricing their donations like it's an antique store. Is it only me or do the prices seem to be going WAY up? I love these tips! Those dressers are an amazing thrift store find. I scour Craig's List religiously for a similar pair with out luck. Yet. I completely agree with the other comment about the prices seeming really high at "thrift" stores. Do you prefer the larger shops (Goodwill, Value Village, St. Vincents) or do you have better luck at the smaller, independent shops? Sometimes I think I think I prefer the smaller, better curated shops if I'm looking for a specific thing and don't have a lot of time to hunt through the non-treasures. What thrift stores do you usually go too? So true!! Great advice. I also know a lot of thrift stores will allow you to pull a tag off a piece and take it to the counter if you don't want to wait for someone to come by to help! Such good tips! I'm so excited because a new Goodwill is being put in in my neighborhood on Capitol Hill - can't wait to check it out! 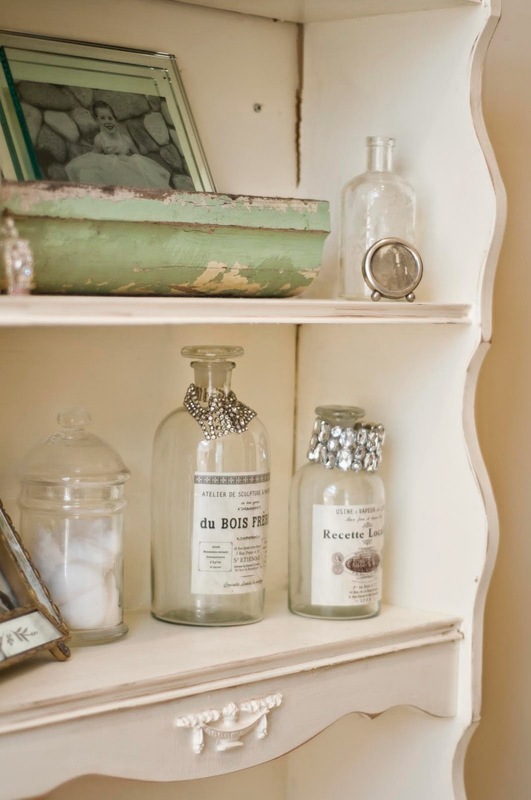 Love the dressers as well as the shelf in your bathroom!! 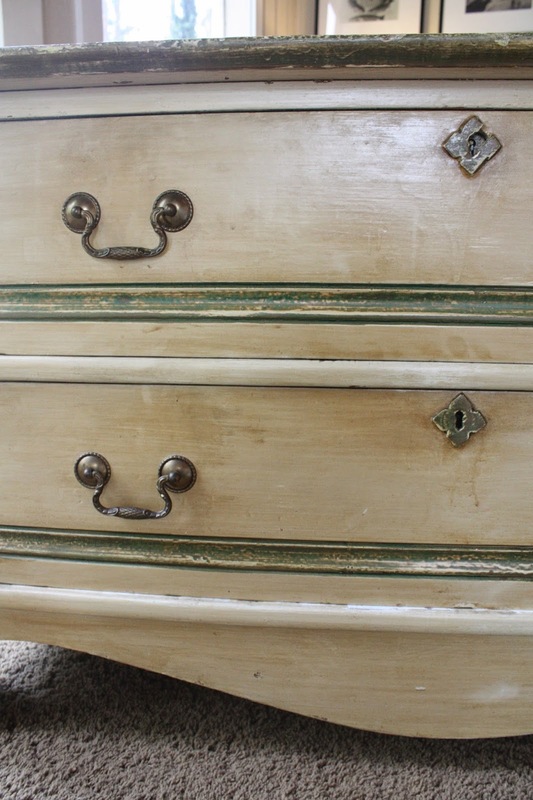 Do you remember the colors you used to paint the dressers? Very useful advices. That post is great and you did a great job with dressers - look stunning. Thrift shops are best places to find great stuff in good price. searching i found this nice website.I am a google and search on many topics. A great blog and very helpfull post. I really like it. Every idea is batter then next, being on a budget can get you down sometimes but these awesome ideas are really helpful! You won a new follower. Thanks for the amazing thrifting post.